Since his years serving as a deputy member of the Cook County Board of Appeals (now the Cook County Board of Review), Michael Reynolds has practiced in the areas of real estate tax assessment and real estate tax exemption law. Prior to being sworn to practice law, Mr. Reynolds served as a Court Clerk in the Municipal Division and the Law Division of the Circuit Court of Cook County, and as an Administrative Aide in the Office of the Chief Judge of Cook County. 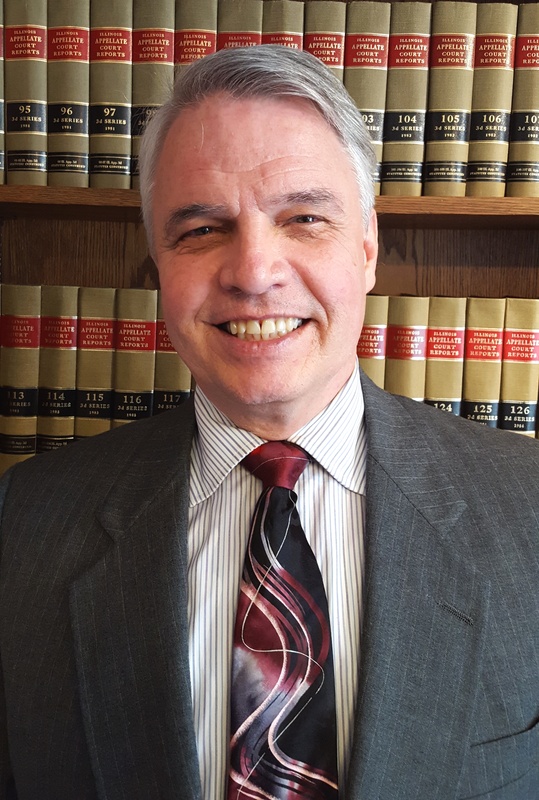 As a deputy member at the Cook County Board of Appeals upon being admitted to practice law before the Illinois Bar, he served as a hearing officer for property tax appeals regarding all classes of real estate, and then as an attorney in private practice since 1981. Michael has obtained, on behalf of his clients, real estate tax reductions and tax exemptions on a broad range of diverse properties. Mr. Reynolds’ law practice has included assessment complaints to the Assessors and the Boards of Review for Cook County and its collar counties, and appeals to the Illinois Property Tax Appeal Board, as well as real estate Tax Objection lawsuits and actions in Administrative Review before the Circuit Court of Cook County. Michael has also argued cases before the Illinois Appellate Court and the Illinois Supreme Court. In one of his cases before the Illinois Supreme Court, Chicago Patrolmen’s Association, et al, v. Illinois Department of Revenue, Michael served as lead counsel for the appellees, a 501(c)(3) charitable organization and a 501(c)(5) fraternal organization, successfully arguing in favor of a precedent-setting partial tax exemption for a museum property located in Chicago. Mr. Reynolds has also served as an Arbitrator in the Cook County Mandatory Arbitration Program and as a Lecturer in the Chicago Bar Association’s Continuing Legal Education seminars on the topic of Real Estate Taxation. Beginning in 1984, Michael volunteered as a trained Intervenor for the Illinois Lawyers’ Assistance Program, Inc., for which he subsequently served as member of the Board of Directors, then as the Secretary, the Vice-President and the Executive Director of the not-for-profit corporation. Rieff Schramm Kanter & Guttman serves clients nationwide and throughout Canada.